LED Grow Strip™ is a light Spectrum optimized LED Strip for plant production with a Flexible Strip (PCB) coated in a water resistant Silicon cover. 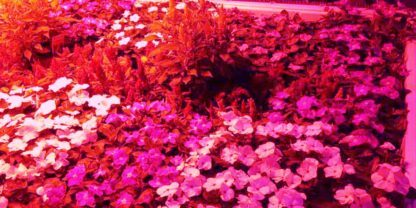 Its flexibility, small size and low heat makes it ideal for use in many horticulture applications where lighting can be precisely directed for optimal plant growth. 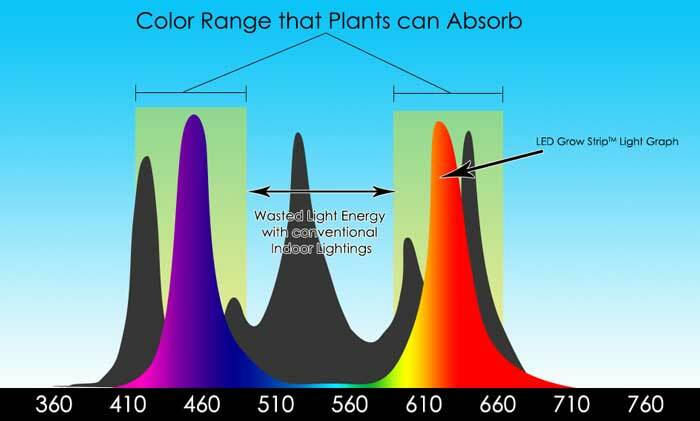 With conventional indoor lighting such as Metal Halide, compact fluorescent and LED, the rigid light fixture is on the top of the plant projecting the lighting down onto the plant with great light loss and light efficiency at the side and bottom of the plant. 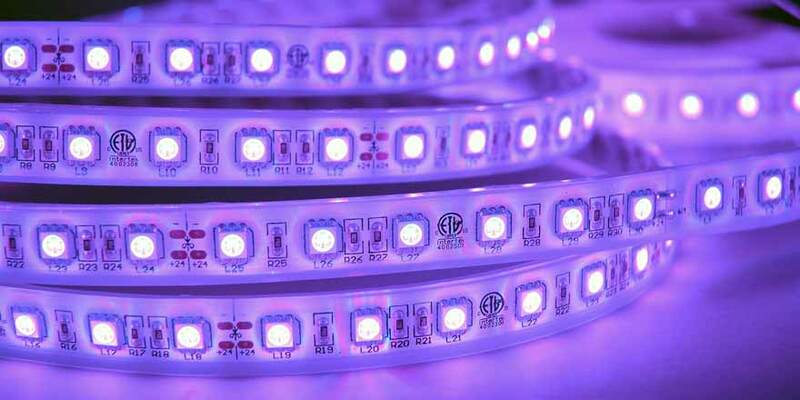 However with the LED Grow Strip, it can shape around a plant to deliver lighting in all areas. The strip can be cut at marked intervals and shaped to create different grow structures for side lighting plant material. 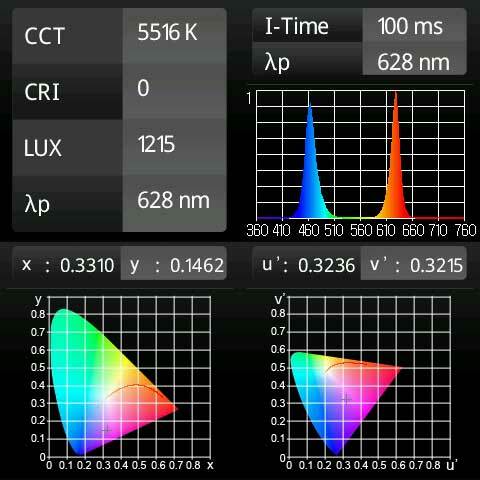 This delivers maximum power and precise lighting to areas that are difficult to reach with traditional light fixture. This saves energy, reduces heat and save money and time. The Led Grow Strip™ features a 5050 SMD LED that has an optimized light spectrum most favorable for plant growth (range: 450-475nm (blue) and 625-660nm (red) wavelengths). Full Spectrum Led Strip is great for all stages of plant growth, especially the vegetative and flowering stage. 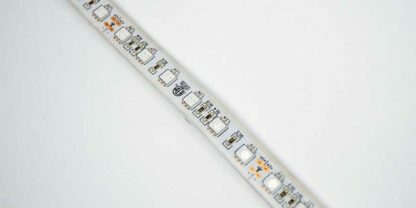 LED Grow Strip can be used as a primary lighting or as a supplemental lighting source at side or dark areas in an indoor grow room environment. 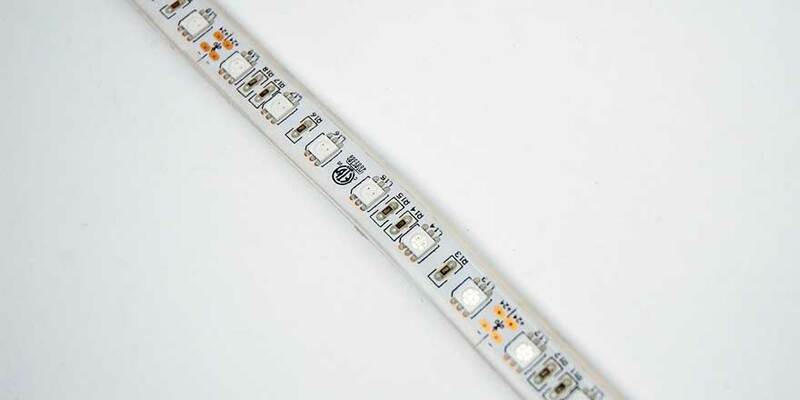 The strip comes in 24VDC and produces very little added heat reducing the cost of cooling. Note: This product requires an optional Class 2 regulated Power Supply (not included).